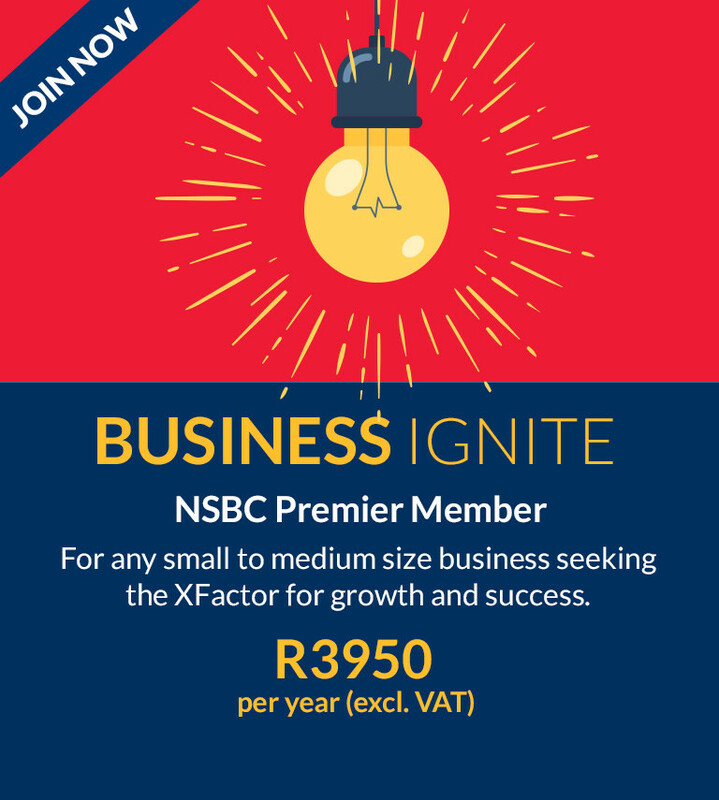 The NSBC receives thousands of business enquiries throughout the year. These enquiries are distributed amongst our member base.The most appropriate leads are matched to the most appropriate members. Seize value-driven specials from leading industry brands. Save money and get access to many amazing industry specials exclusive to NSBC Members. Get recognised as a champion. You and your business receives automatic nomination to enter the South African Small Business Awards. SA's biggest awards programme recognising the tireless journey & achievements of Small Businesses and entrepreneurs. Soar with the eagles that fly high. Meet and network with experts, business leaders and fellow SME's throughout the year. Be invited to breakfast networks, conferences, expos, road shows, awards functions! Grow, learn, connect, be inspired & have fun. Receive free daily success tips and advice. Through the weekly My Business Mag and The Small Business Site, get success tips and inspiring stories that will give you the edge on your quest for success. Build your customer base quickly and boost top line sales. The Shop Small Network is South Africa’s most powerful network of SMEs. A 365 day 24/7 digital campaign linked to the Shop Small movement. Get many more customers to your site and through your door, 24/7, 365 days. This is where business decision makers go to do business. Showcase your status to the business world. Place 'NSBC Member' digital logo on your website and social media platforms. Showcasing your membership status projects credibility and gives that extra edge in the business community. A full circle 'help-me' service related to starting out or growing a business through our wide array of leading service providers. Free digital copy of Mike Anderson's book Never Surrender. Get exclusive access to this short but powerful read filled with key principles for life and business, by Mike Anderson, NSBC Founder & CEO.